It is a common practice across the Muslim world for the singling out of certain times for acts of worship. 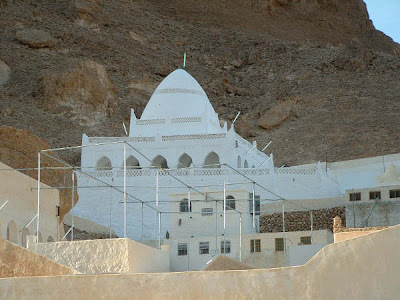 Examples of this include the visitation of the grave of a certain pious person, or as the people of Hadramawt do (at their forefront the noble Ba Alawi’s) with the travelling to visit the grave of Sayiddina Hud (upon Him be peace) in the month of Shaban each year. The Prophet (Allah bless Him and give Him peace) would come to Masjid Quba every Saturday walking and riding, and Abdullah (Allah be pleased with him) would also do this. In this hadith, along with its various routes of transmission, is an evidence of the specifying of certain days for certain righteous acts, and to be regular in them. And in it is that the prohibition to travel to other than the three masjids does not mean that it is unlawful, as the Prophet (Allah bless Him and give Him peace) would come to Masjid Quba riding.